It's getting towards the end of winter and I'm getting anxious for summer fruits! It's the perfect time to finish using up your canned and frozen fruits which would be great in this recipe. Today, I'm using fresh pears. This is absolutely one of our favorite desserts. I made this when we were first married and it's continued to make a regular appearance. I usually make it with canned, fresh, or frozen peaches and that's still my favorite way but this is really good! Preheat oven to 425 degrees. Grease a tart pan with removable bottom (about an 8-9 inch tart pan). In a small mixing bowl, use a fork to combine melted butter, 1/2 c. of sugar, flour and nuts until crumbly. 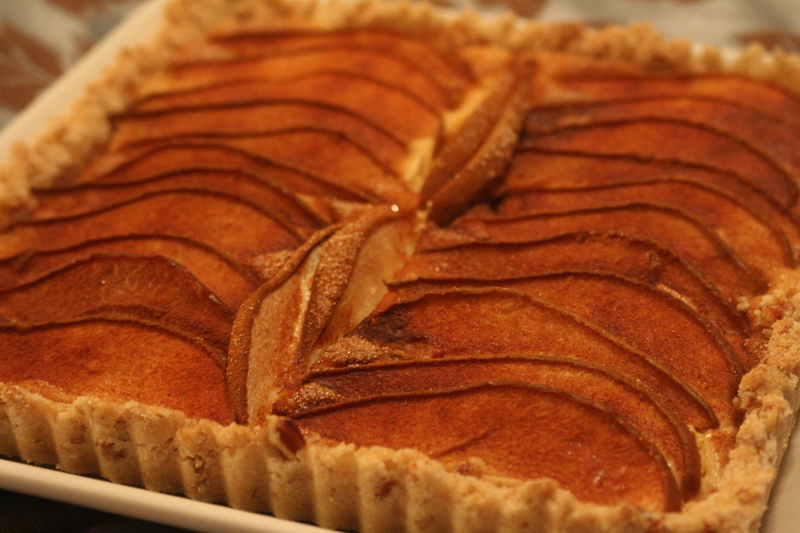 Press onto the bottom and up the sides of the fluted tart pan. In another mixing bowl, beat cream cheese until smooth. Beat in 1/4 c. sugar, egg, vanilla, and 1/4 tsp. cinnamon; spread over the crust. Arrange pears over cream cheese mixture. Combine the remaining 1 tsp. cinnamon and 1 Tb. of sugar; sprinkle over pears. Bake at 425 degrees for 10 min. Reduce heat to 350 degrees; bake 15-20 min. longer or until filling is set. Cool for 1 hr. on a wire rack. Refrigerate for at least 2 hrs. before serving. Remove sides of pan and slice. Yield: 8-10 servings. 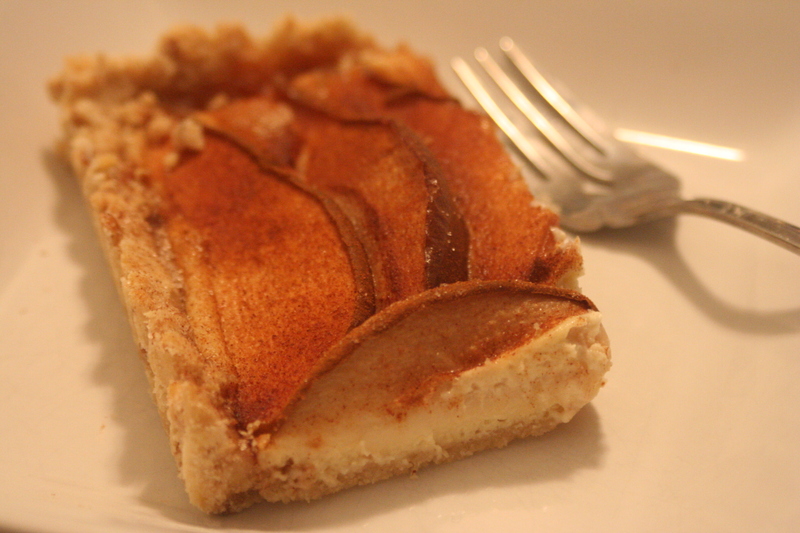 I will be making the pear tart this evening! Thanks!